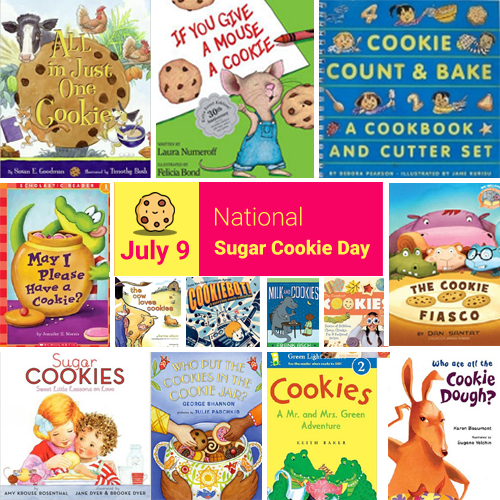 Here’s a baker’s dozen of cookie themed picture books. 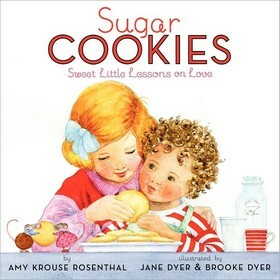 Baking cookies teaches us many lessons about life and love. 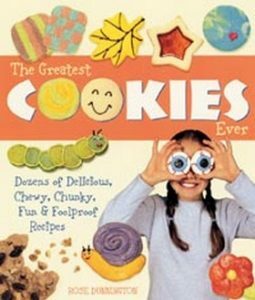 Includes a recipe for sugar cookies. 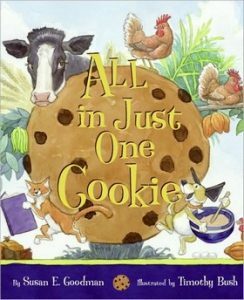 Shows children how many people it takes to get a cookie to the cookie jar- from farmers in the field growing grain to a mom and daughter mixing the dough. 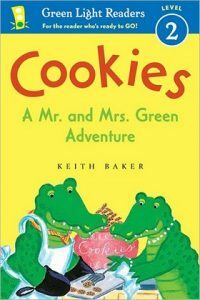 Includes recipe for sugar cookies. Activities and recipes that illustrate concepts about numbers and geometric shapes. 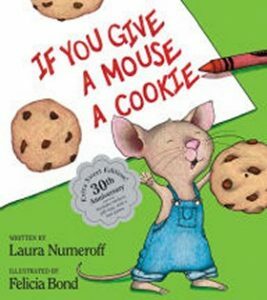 The story of how a mouse who is given a cookie begins to ask for more things, starting with a glass of milk to go with his cookie. Grandma has special visitors coming so she makes a batch of cookies for them. 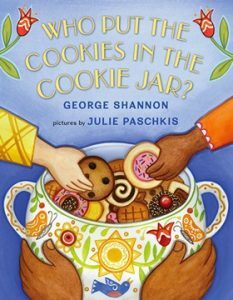 Grandma’s helpers are her cat and dog who tell interesting facts about where cookie ingredients originate. 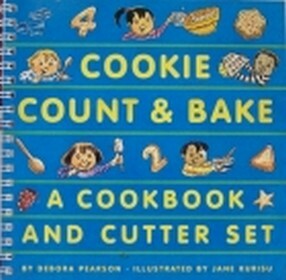 A kid-friendly collection of 75 cookie recipes. Offers tips on using equipment, safety, reading recipes, and substituting ingredients. Includes straightforward, easy-to-follow, numbered directions, and bright color photos. 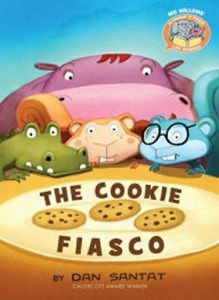 There are only three cookies and four hungry friends to share them with. This is not good. This is not equal! 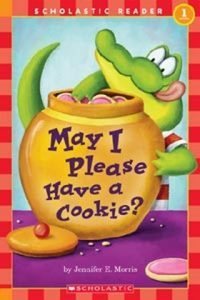 Alfie, a young alligator, learns the best way to ask for a cookie from his mother. 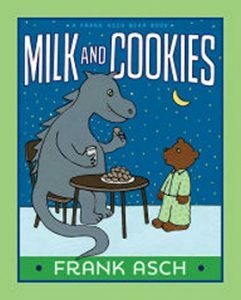 While spending the night at Grandfather’s house, Baby Bear dreams of feeding milk and cookies to a dragon. 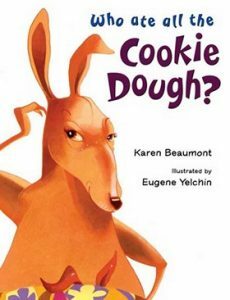 Kanga and her friends try to discover who ate all her cookie dough. 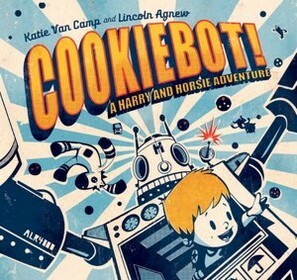 When Harry and his best friend Horsie build a robot that can reach the cookie jar for them, it goes out of control and wreaks havoc around the city. 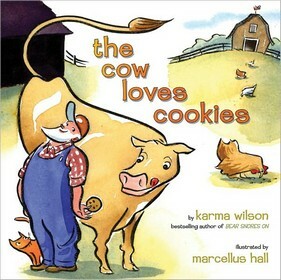 While all the other animals on the farm enjoy eating their regular food, the cow chooses to eat the one thing that she loves best. Written in rhyme and repetition.